Gave That Contributing editor Dr. M. of Best Picks Magazine Shares Her Favorites for spring brides... Also see her article on using Dinair for sunless tanning. June is still the most popular month for weddings and with good reason. A June bride can expect warm temperatures and lots of flowers for her wedding day. If you are invited to a wedding or bridal shower, you may wish to check and see if the bride has a gift registry at a local store. These of course are only suggestions for gifts. You may wish to choose your own. 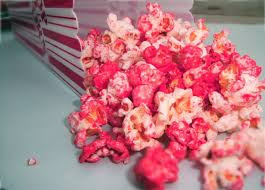 The following special gifts are my top two picks which can be given at the bridal shower. This way the bride can use them to prepare for her wedding day and look positively radiant! One of the secrets to incredible photos and videos is airbrushed makeup. During a photo shoot for More Magazine, I airbrushed my foundation prior to going in to the makeup artist. The photos were flawless and airbrushing remains my preferred method of makeup application for working in front of the camera, especially with our new high definition videos. 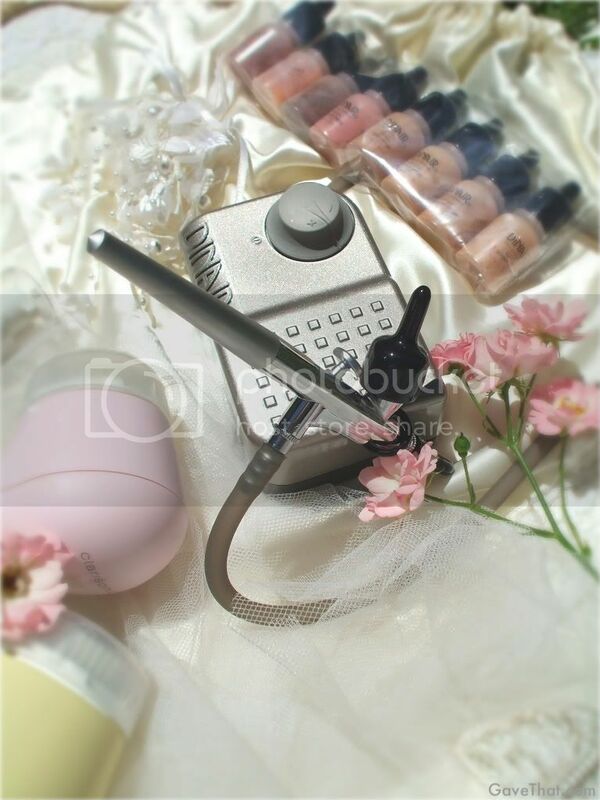 Dinair's Studio Airbrush Make-Up Kit allows you to choose your color in order to get a better match of your skin tone. While some other airbrush makeups pigeon hole you as being pink or yellow, Dinair's line of 100+ shades accepts that complexions don't always fall into such rigid categories. The Studio Kit comes with everything and I do mean everything you need to do a complete make up application including stencils for eyebrows and lids. The foundation itself is the real treat however. It stays in place all day and needs no touch ups. It is so light that you can't feel it on but gives you excellent coverage. The Dinair compressors come in a variety of colors and is very compact for travel but at 0-8 psi, powerful enough to apply make up to your face and neck area. Likewise the Dinair airbrush gun is very well made, in the US, for smooth even application and easy clean up. 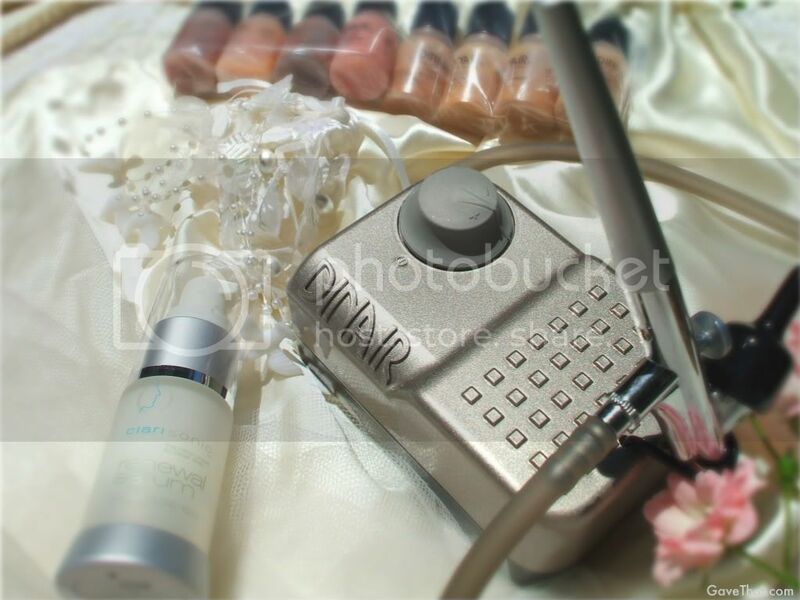 Any bride would enjoy receiving this kit at her shower because by the time her wedding day rolls around, she will be an expert at applying airbrush makeup! This is in part due to Dinair's informative instructional DVD included with every kit. This is something so compact that she can take with her on her honeymoon for those special pictures after the wedding. She will surely thank you for a gift that keeps on giving such beautiful results! Visit http://dinair.com to see her online video on airbrush application and to order. I've had the pleasure of using Clarisonic's skin care systems since March of this year. I didn't have to wait months to see marked results however. After using the Clarisonic Plus just once to cleanse my skin I noticed that it was deeply refreshed and softer. A bride's hormones and stress can make her skin more prone to breakouts and dry patches. How about giving her one less thing to worry about on her wedding day? That's what Clarisonic's Ultrasonic Skin Care Systems will do. She can see smaller pores, more even skin with less blemishes in as little as a week of using the Clarisonic. If she has fine lines and wrinkles, the Clarisonic Opal Skin Infusion System can instantly plump them up prior to makeup being applied. Clarisonic's Skin Renewal Serum keeps the skin soft and nourished and makes the perfect base for airbrushed makeup. The little Mias are just the thing to travel with and can allow her to feel at home no matter where she honeymoons. Better still, if you purchase any of the Clarisonics from http://clarisonic.com, they will personalize them with the bride's name at no extra charge. Trust me, she will use it and thank you every day! 1 winner will receive a complete Dinair Studio Airbrush Make-Up Kit and a full sized bottle of Clarisonic's Skin Renewal Serum!!! Clarisonic and Dinair, through DoctorM, has generously provided a Clarisonic Skin Renewal Serum and Dinair Studio Airbrush Make-Up Kit to give one of you... all you have to do is e-mail me at gavethat@gmail.com subject line: "June Bride Giveaway" with why you or a bride you know would love this Dinair and Clarisonic prize package. One winner will be chosen based on US entrants. You have until the end of July (ends July 31st 2010 12pm EST) to enter so be sure to tell all your brides to be. See our past reviews of the Pink Mia here and the Opal here. * This giveaway is open to our US audience. One (1) entry per person, per household, per email address, age 13 and up. Some restrictions apply and void where prohibited. In the event a winner fails to reply with his/her address for prize shipment we reserve the right to choose another winner based on existing entrants. Giveaway ends July 31st 2010, 12PM EST. Congratulations Jessica! Once again it was so difficult to pick a winner and it was wonderful reading through all of your emails. 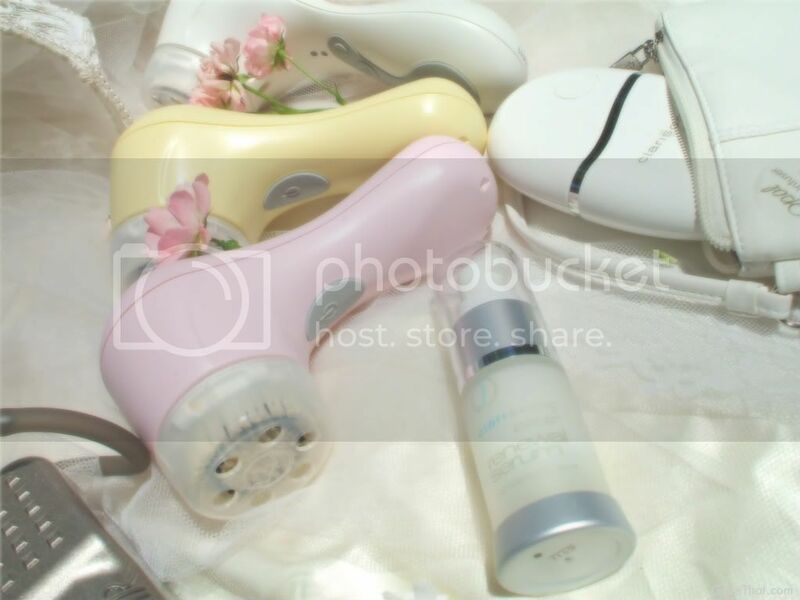 Thanks for including the Clarisonic in your post- we definitely agree that it is a perfect gift for any bride. If anyone has any questions they want addressed, please do not hesitate to contact us at 888.525.2747 or info@clarisonic.com. We also have Facebook (facebook.com/clarisonic) and Twitter (@Clarisonic) for further customer service and the latest updates. Thanks again and happy cleansing!